My sister was interested in learning how to make the pentagon baby squishies, so I brought over all the supplies to show her. She really liked my spring loaded scissors, which I also love, but usually only use at home since the point is so sharp (I keep them in a plastic jar). I think we’re going to go to Fabric Mart tomorrow to get her her own pair, so I made her a case so that she’ll be able to carry it around without poking holes in things! 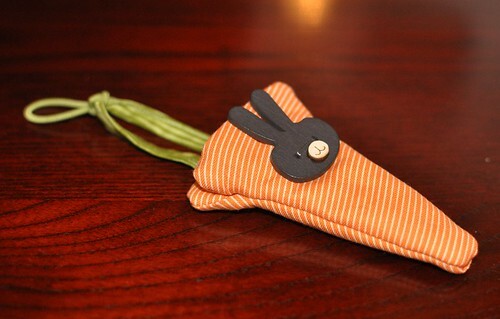 The bunny button is from shop4craft’s store. 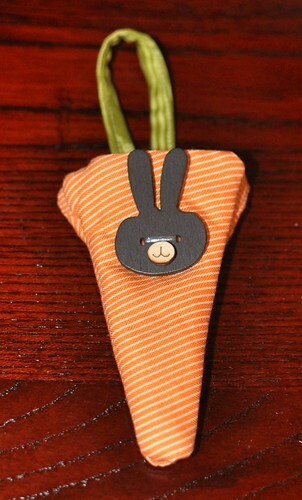 I looped a hair elastic at the end of the carrot greens to go around the button. 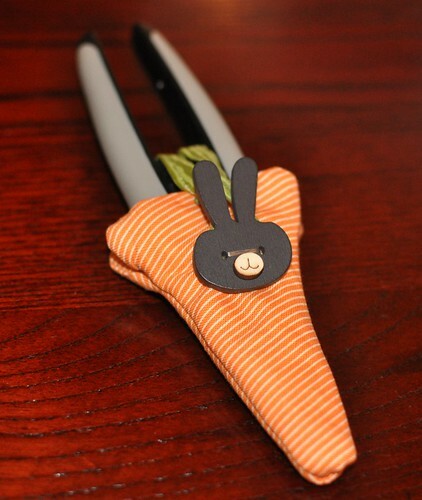 I didn’t want to sew it in because I wanted it to be easily replaceable in case it broke. 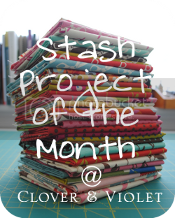 I’m linking to Clover and Violet‘s Stash Project of the Month — I love making little things from stuff I already have in the house! Cute little case! Very handy!